Tuk Tuk has long been a unique symbol and part of Thailand’s bustling urban life. Nowadays, while Thai people are using a lot of other vehicles, they’re still proud of the Tuk Tuk. Riding along the city at night in a lovely Tuk Tuk will be an exciting experience for many travelers to Thailand – Land of Temples, Beaches, and Buddha. One of the top things to do in Bangkok is to hop on a tuk tuk to discover the “city of angels”. 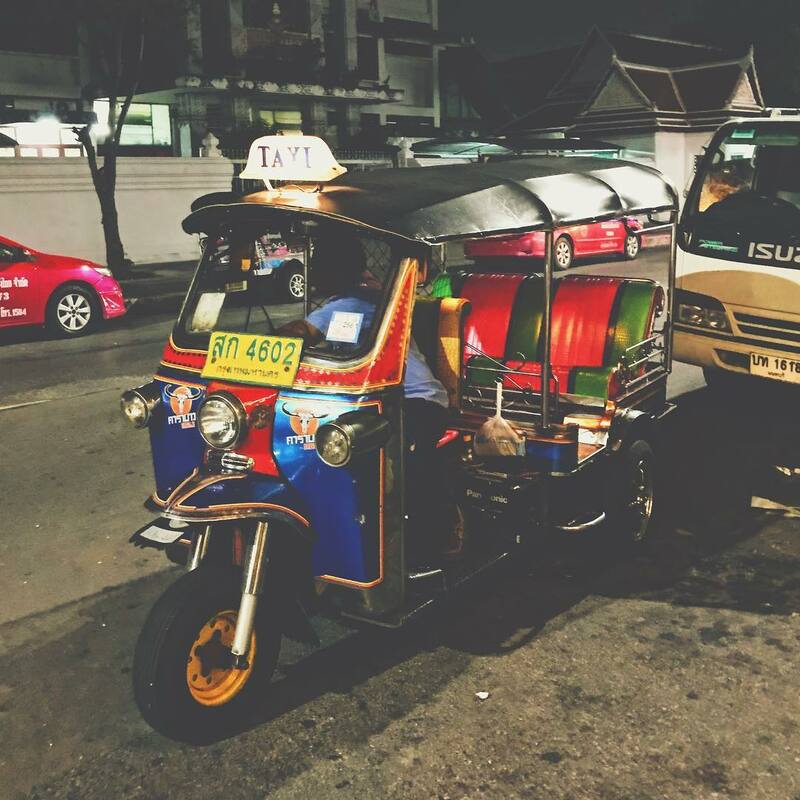 When exploring the nightlife of Bangkok by Tuk Tuk, you will see the bustling local markets, the crowded party streets, the exciting bars, and clubs or the peaceful life of Thai people in the small alley. 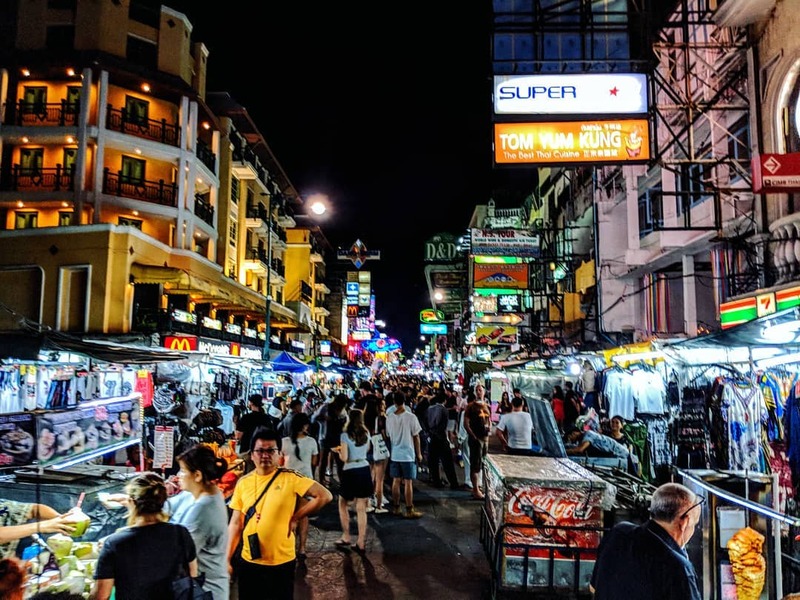 As one of the best night markets in Bangkok, Patpong Night Market is well known for its vibrant atmosphere and a wide range of items such as travel souvenirs, t-shirts, pirated DVDs, fake fashion accessories and other handicrafts. Undoubtedly, Bangkok nightlife here should be explored with a tuk tuk ride. The small stalls sell traditional Thai dishes, snacks, and desserts as well as being home to many large international fast food stores such as McDonald’s and Burger King. Do not hesitate to bargain because shopkeepers usually offer you the higher prices than the original ones. And remember to pay attention to where you want to go because Patpong Night Market is located in Bangkok’s oldest red light district with clubs and bars lined up on many streets. 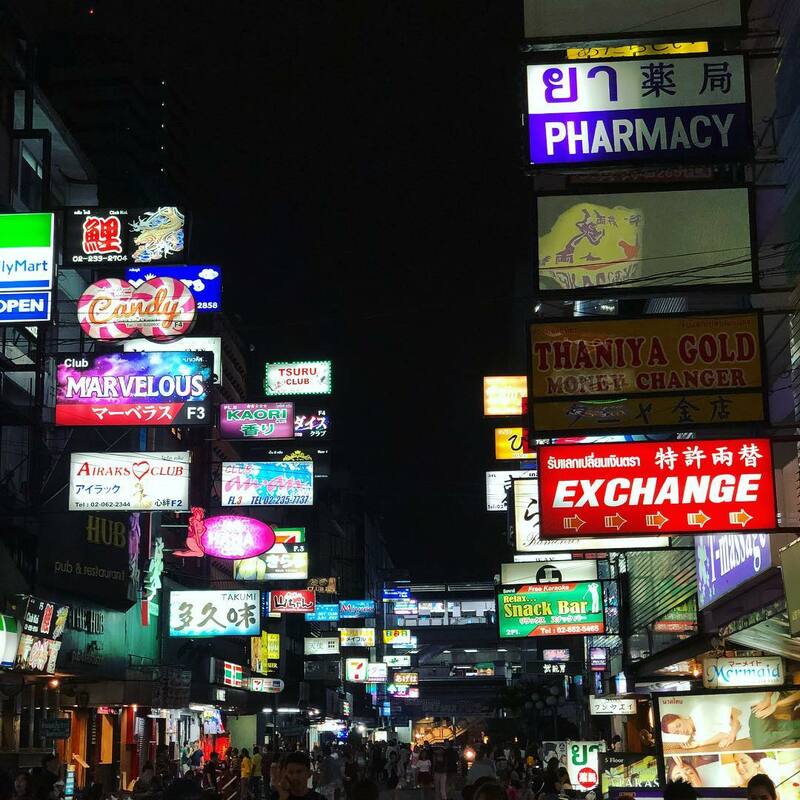 The neon signs in Patpong. Chinatown is the heart of Bangkok’s cuisine for many local and international visitors. In the evening, the culinary booths are opened along two pedestrian walkways. One of the best places to eat is the Lek & Rut Seafood Restaurant. Fresh seafood dishes such as fish, shrimp, crab, shellfish… are served deliciously with comfortable seating space. You can try another famous store, the Yaowarat Toasted Bread. Yaowarat store is always crowded so you have to stand in a long queue for a long time to wait for your bread. The crust outside of is crispy and the inside is very soft with Thai pastries, condensed milk, and custard. Luckily, you do not have to queue up at other food stalls. Moreover, the salesman here speak English very well, they can explain to you the menu details clearly. 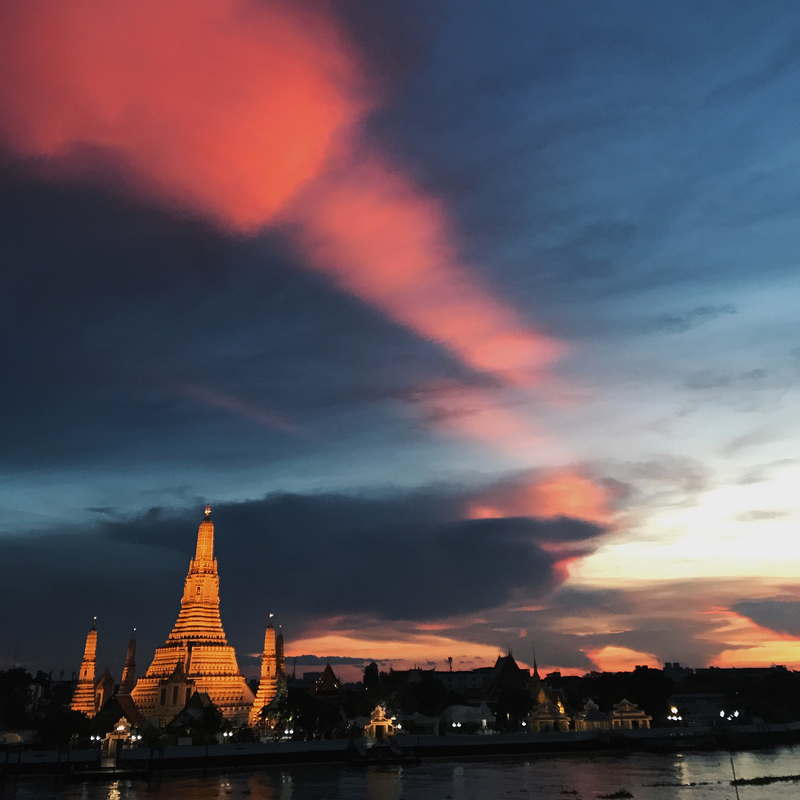 If you do not like street food or simply want to try another space, you can get off Tuk Tuk and head to the terrace on the eighth floor of Riverview Guesthouse with delicious food, cheap drinks and night views of the beautiful Chao Phraya river. You should have a better plan to visit Bangkok’s top priority – China Town. Hop on a tuk tuk now to experience the Bangkok legendary ride and explore the city to the fullest! Khaosan is a pedestrianized shopping street with many shopping centers, amusement parks, bars, discos and eateries. When observing Khaosan from outside, visitors will think that the neighborhood is very small. But, late into the night, Khaosan is the best site to enjoy Bangkok nightlife. Unlike the calm in the morning, the street turns into a different place with so much street noise at night: You will hear the buying offers, the whistling sound from cars, cheering sounds for street performances or the music from bars, shops open to attract customers. All of that adding excitement to your tour of Bangkok by Tuk Tuk. Here, you can shop for souvenirs, enjoy cocktails and explore street culture in Thailand. You can go to the bars to enjoy the lively atmosphere. Although it costs more than the outside you will be engaged in many attractive activities. 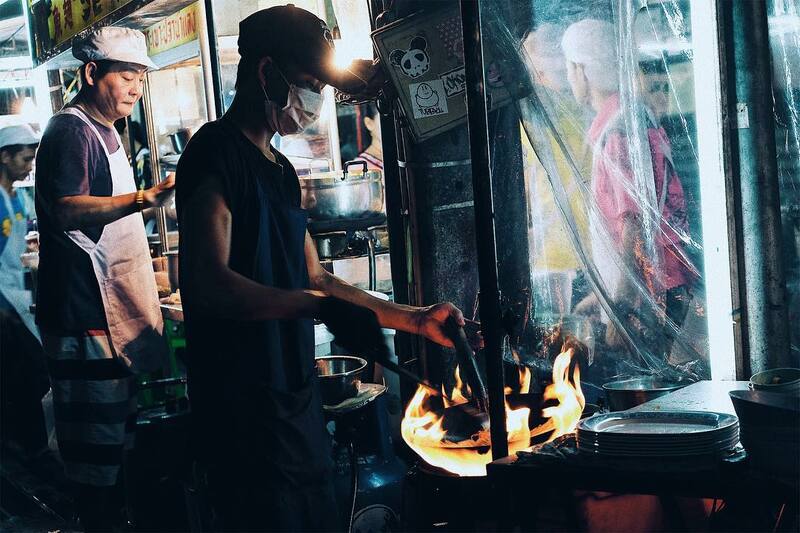 In addition to the street food, Khaosan also has quite a variety of dishes, especially insects such as cockroaches, grasshoppers, scorpions… have to try atleast once! Soi Rambuttri: If you do not like the noise and activities of Khao San Road, Soi Rambuttri, just a few minutes away from Khao San is a quiet, clean and comfortable place with a wide range of bars, restaurants, bookstores and other stores to visit. The Democracy Monument was built in 1939 to organize the abrupt transition to democracy in 1932. The memorial is located at the center of the large Ratchadamnoen Avenue, just a short drive from Khao San Road. Phra Sumen is located on Phra Athit Road, one of the 14 historical fortresses that guarded central Thailand against being captured. Phra Sumen is just a short distance away from Khao San Road, a great place to watch the Chao Phraya River. Wat Chana Songkran is not large but has impressive architecture dating back to the 18th century. In the temple there are many beautiful Buddha statues and a Taksin temple, worshiping King Thonburi. Wat Bowonniwet Vihara is the most impressive Thai temple built during the reign of King Rama III. Built in the style of Thai-Chinese architecture, the temple includes a 14th-century Buddhist statue and is close to the royal family of Thailand. Old Bookstore: Khao San Road has many old bookshops with a variety of books from travel guides to classic books. Try visiting the Shaman Book Shop with 2 locations on Khao San Road, you can choose many old books. Wat Arun, the most romantic temple in Thailand, is located opposite Wat Pho. It is also known as The Temple of Dawn on the banks of the Chao River. Although its name is The Temple of Dawn, Wat Arun is most romantic and fanciful at night. In the middle of the night, the temple stands out with an 80-meter main tower and four lower stupas. Wat Arun is a combination of Khmer architecture combined with porcelain decorations brought from China. Don’t miss the opportunity to stand on the balcony of the temple to admire the most beautiful river of the Chao River. Visit Bangkok’s most iconic temples with Inspitrip now! In other countries of Asia, the Tuk Tuk is also known by names like rickshaws, pedicabs or moto taxi. The Tuk Tuk has replaced human-powered rickshaws with the ability to rapidly jog in traffic jams and the ability to carry up to four passengers. However, the Tuk Tuk has some limitations on capacity and speed: They are often used for shorter distance routes in towns and cities, with a maximum speed of about 30 miles per hour. The Thai Tuk Tuk is famous around the world. A Tuk Tuk is run by a two-stroke scooter motor, emitting a distinctive “tuk tuk” sound when operating, so it was taken as the name of the vehicle. Thailand is also trying to reduce emissions from the tuk tuk. 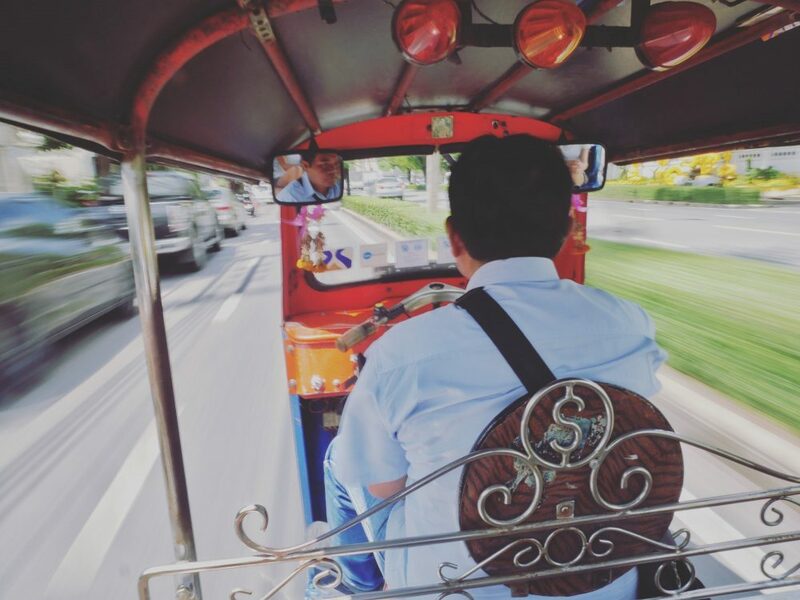 Currently, Tuk Tuk teams in Bangkok are equipped with a four-stroke engine using natural fuel. Tuk Tuk appears most in Thai travel books. Moreover, some 4 – 5-star hotels also have their own beautiful Tuk Tuk displayed in front of the hotel to take visitors to the streets. Sitting behind a Tuk Tuk to explore Bangkok city or wander in China Town is a must-try experience for all travelers! One way ticket costs depending on distance. The usual fare for a short trip is 30 bath. Try to bargain before you go. You should bargain less 5-15 bath than the usual cost. If it’s possible, do not overlook the opportunity to save your money. It’s not good for you to explore Bangkok by Tuk Tuk without safety. Be careful with the “Mafia Tuk Tuk” service. Refuse invitations to use unreliable short tours. Avoid using tuk-tuk during peak hours to do not get stuck in traffic for hours. Tuktuk is very suitable for short trips, but if you want to go faster then take a taxi. Taxi fee will be a bit more expensive. Exploring Bangkok by Tuk Tuk definitely is the top must-try experience for travelers but it also takes time to prepare. For example, bargaining with the local drivers sometimes makes you tired. 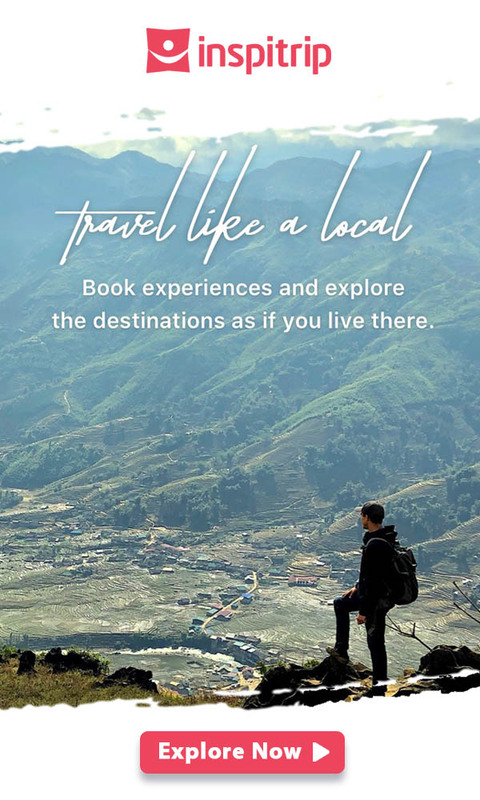 Hence, to comfortably wander around Bangkok’s iconic sites in Tuk Tuk, let Inspitrip local guide become your partner in the next Thailand journey.